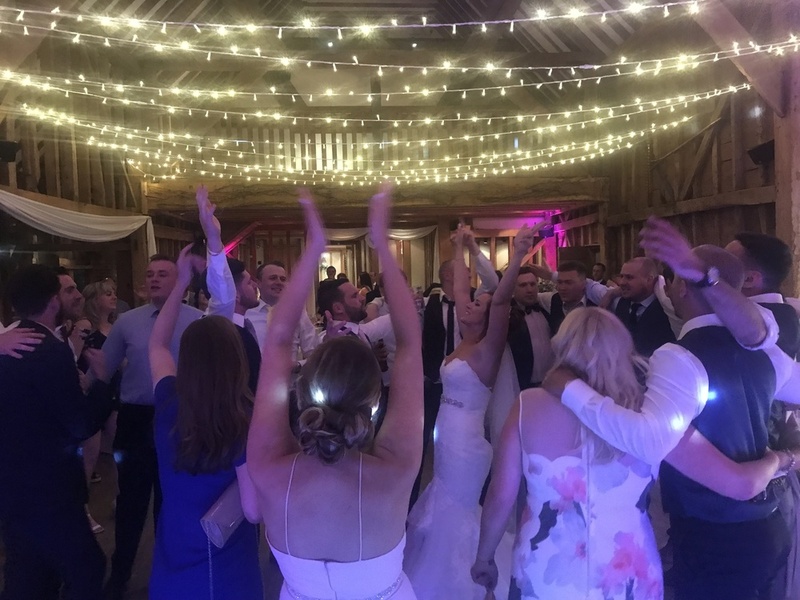 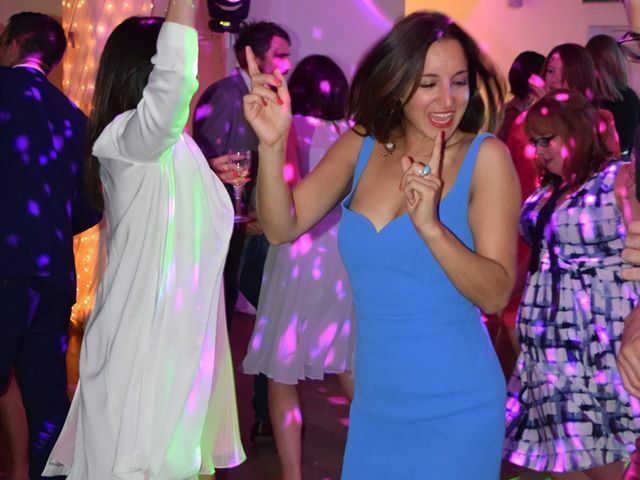 The Silver XL Wedding DJ Package is a new addition to our services for 2018 and has fast become our most popular option. 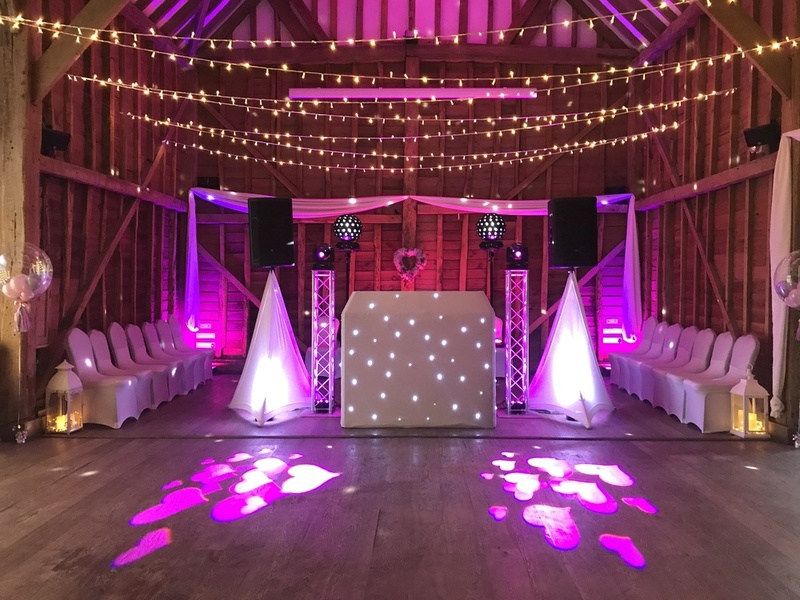 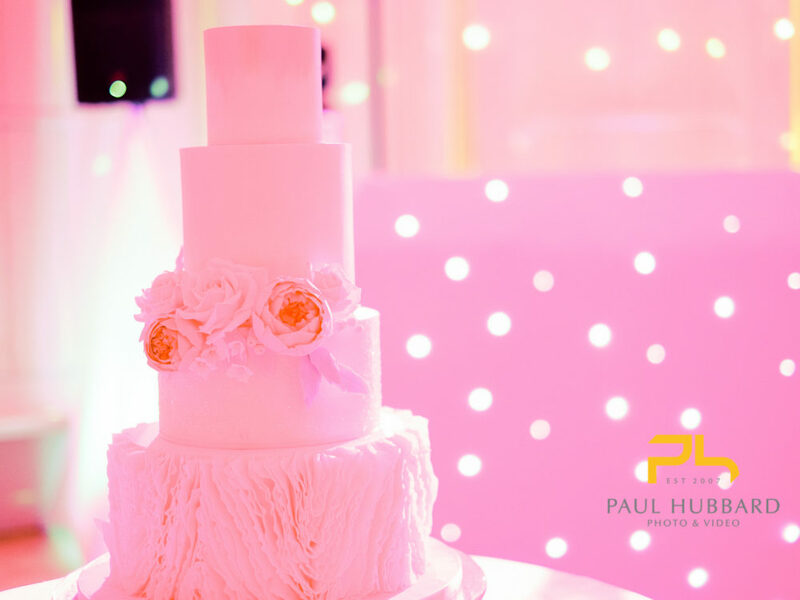 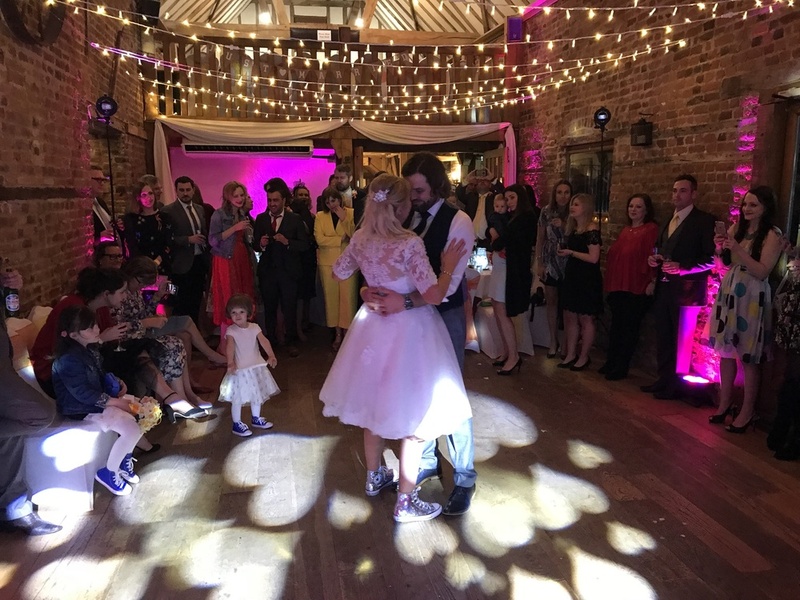 This package is suitable for any medium to large wedding venue or marquee and comes complete with state of the art computer controlled lighting, We can fully customise the colours and images to fit within your wedding theme. 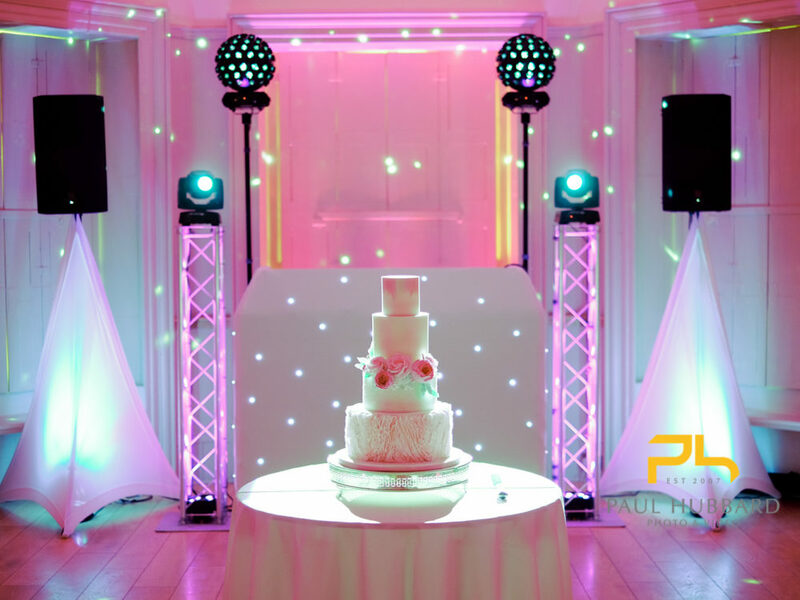 Available in Traditional White star cloth with White twinkle LED or Black star cloth with White twinkle LED or multi coloured LED on a black cloth. 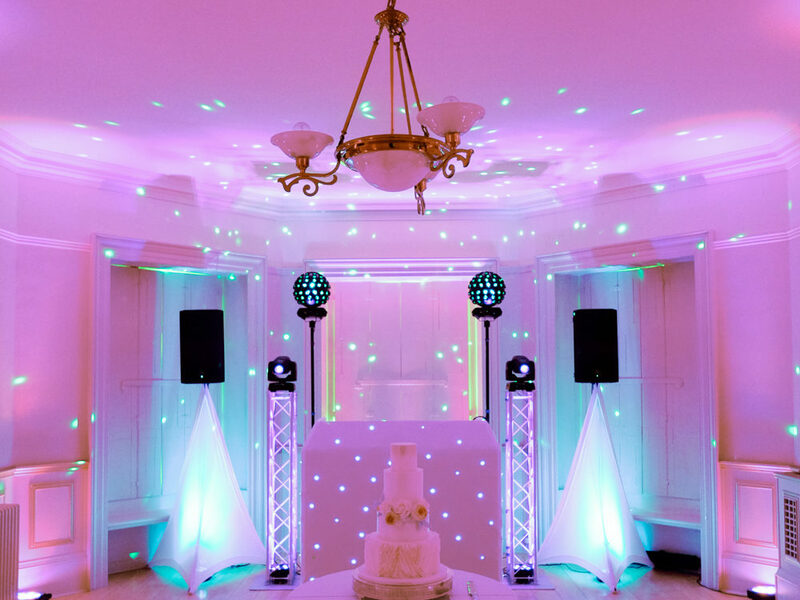 This package includes our brand new mirror ball effect lighting that looks simply outstanding covering any sized room perfectly and can be set to any colour of your choice, With 3 LED zones the lights are capable of emitting up to 3 different colours simultaneously. 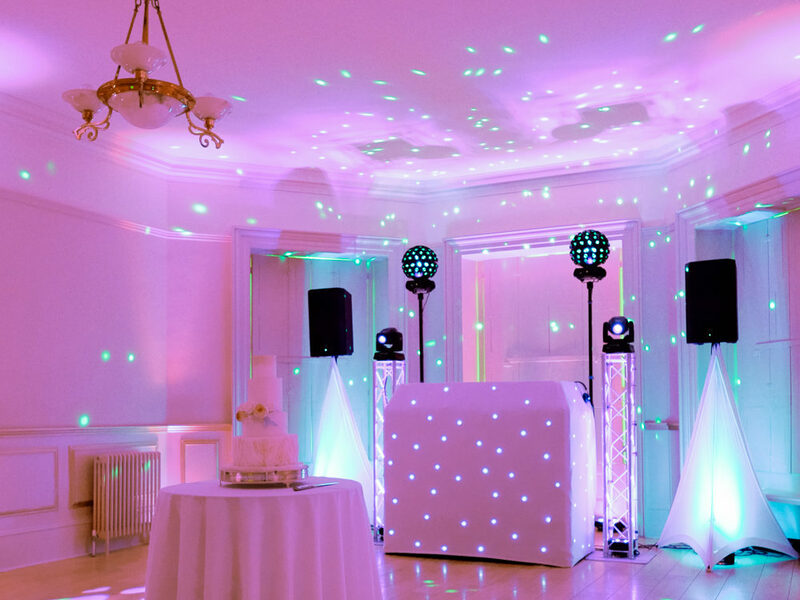 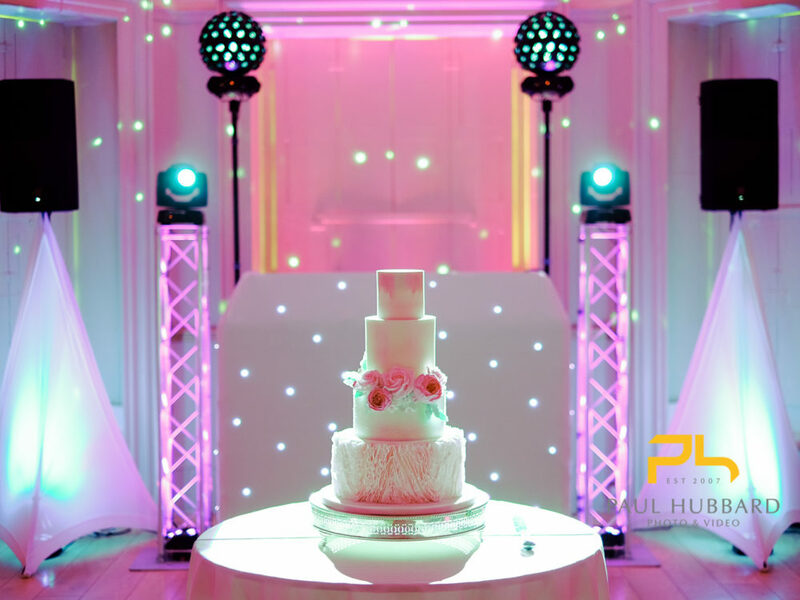 Our main lights rotate 360 degrees around the room to the beat of the music but are shown pointing at the floor in all our images to display the patterns and colours on the lights, The lights are set on a couple of plinths that can be lit up to any colour of your choice adding the finishing touches to the Silver XL Wedding DJ Package. 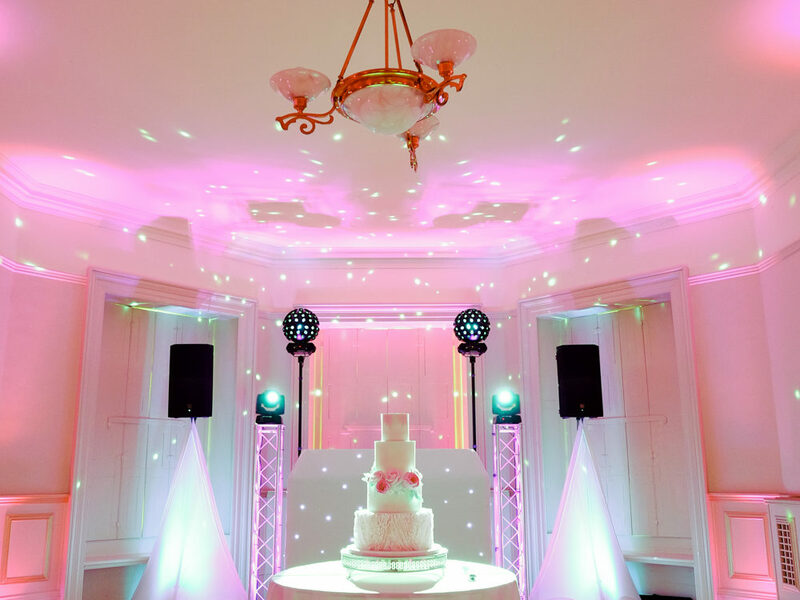 We can also create a personalised image for our lights at cost price and beam your name across the room .. Mr & Mrs … or just use our included images … our signature “Love Heart’s”, Roses or various shapes and patterns, We can even display “snowflake” effects for Xmas theme weddings and events. 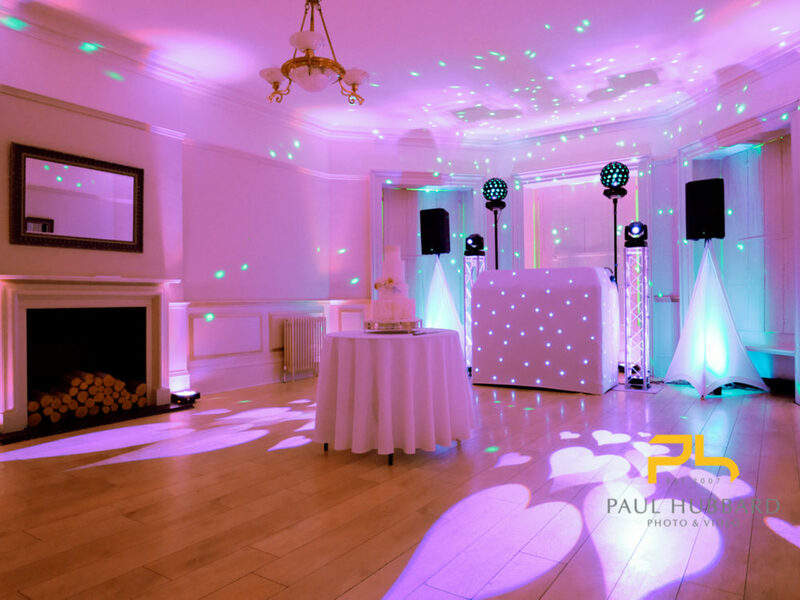 We are currently running a special offer for half price uplighting and backdrops when taken with any of our packages, contact us today for more information.